specialist commercial kitchen grease trap supplier. Our grease traps are trusted and respected for outstanding quality. We are very proud to have supplied some of the biggest names around and the list is growing! Catering for Commercial Kitchens & Restaurants throughout the UK & EUROPE. 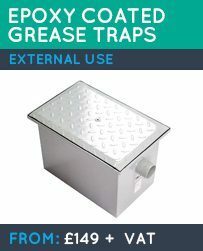 Grease traps (also known as grease interceptors or fat traps) are easy-to-fit plumbing devices designed to capture (or trap) fats, oils and grease (FOG) before they enter the main drainage system. They are an essential device and a must have for all UK commercial kitchens. Here at Grease Trap Store you’ll find everything you need when looking for a commercial kitchen grease interceptor, from our stainless steel models, to our epoxy coated grease traps, and all from as little as £129. So why use Grease Traps? Why are they Important? Grease is a huge problem. With more people eating out than ever before and more restaurants being built, more grease needs to be disposed of. FOG are approximately 10 to 15 per cent less dense than water, and once cooled FOG will begin to congeal and harden, this is when it becomes a significant problem. At the time when you are pouring grease into the drainage system it won’t seem like a problem, however as time passes grease will cause blockages and overflows that can potentially damage property and cause environmental contamination of local bodies of water. Grease traps trap the grease and ensure grease does not become a problem. If you are a larger organisation or a commercial company you are required by law to have a grease trap in your premises. Although grease interceptors are relatively simple devices they serve a huge purpose and can save you a lot of time and money in the long-run. If you buy a grease trap from a reputable company like Grease Trap Store you’ll receive great quality at an affordable price. The grease trap will pay for itself ten-fold compared to what you may pay for in plumbing costs should a serious problem arise from a grease-related blockage or overflow. Who should have a Grease Trap Installed? Public houses, bars and cafes. Fast food restaurants and takeaways. 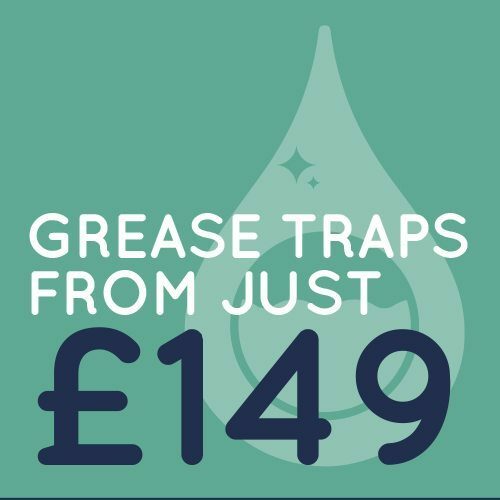 Buying a grease trap for as little as £129 from a reputable company such as Grease Trap Store is a great investment, and something that will give you peace of mind. Could you imagine receiving a call or getting a visit from your Local Authority advising your establishment has blocked the main drain supply and you are liable for the damage and repairs? Ouch, this could cripple your business! Obviously we want you to use our fantastic products and service, but if you don’t, please make sure you purchase a grease trap, we’re passionate about them and understand how important they are. 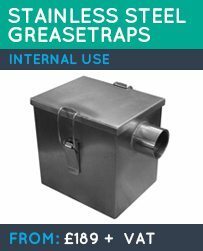 Why choose Grease Trap Store for your Grease Interceptors? Our Grease Trap Store branded commercial grease trap range is equal to, if not better than many of the well known brands out there, and at a fraction of the price. This means great savings for everyone who chooses Grease Trap Store. Also, because we specialise in commercial kitchen equipment, we know what it takes to get it right! We are not a company who offers several hundred different products, we stock grease traps and grease trap supplies! We recommend you always use a specialist, one that can answer all your questions and resolve any issues should they arise once the grease trap has been purchased. Our grease trap devices start trapping grease as soon as they are installed and used. All of our grease traps require no power supply, they are environmentally friendly. Also, the grease which is trapped can be recycled. All our products are constructed from high quality stainless steel, and designed to filter out FOG before it enters the drainage system. Grease Trap Store is part of the Rix Group of companies and is a Sister company to Blow Motion Ltd who are famous for their Blow Motion brand of hand dryers since 2012. 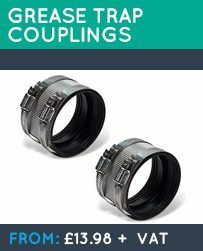 Located on the Wirral in the North West of England we supply companies throughout the UK and Europe. Offering you the benefit of global connections, Rix Group Ltd has business links at the centre of the electronics industry in South East Asia. Keeping our finger on the pulse, we provide you with the best new and existing products. Quality at a fraction of the price. Finest construction – Combining the best electronics and components. Highest reliability – Performance standards exceeding expectation. 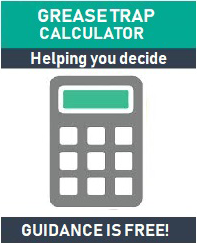 Best savings – The same specification as market leaders at a fraction of the cost. Safest products – Compliant with all EU safety standards. Check your grease trap on a regular basis, once a week is generally a good starting point but if you can check more we’d advise you do so. Remember to always keep a record of your cleaning operations. Empty your grease trap before it is full. The earlier the grease trap is emptied, the easier it is going to be to empty and clean it. Don’t let excess grease build up until the point where it is being discharged into the sewer. 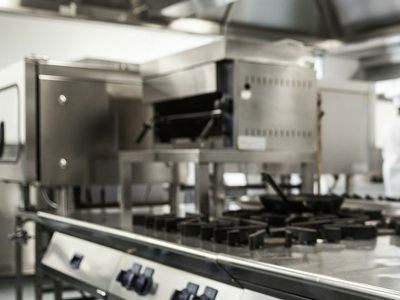 Depending on the size of the grease trap (and the size of your commercial kitchen), you may want to consider employing a trained contractor to do the work for you. Clean all grease traps in accordance with the manufacturer’s guidelines / recommendations. Once all the grease has been removed from grease trap it should be stored in a suitable container ready for collection. A licensed waste contractor will dispose of the grease in a safe and correct manner. You have a responsibility and legal duty to maintain a record of waste transfer notes. Check your grease trap lid is secure along with any other components to protect against accidents. Once the grease trap is set up and operating you should monitor activity. If there is minimal grease in the trap over a period of time, check that it is has been installed correctly. If you have other appliances, for example a dishwasher too close to the grease trap the flow of water / detergent may prevent the trap from operating effectively. 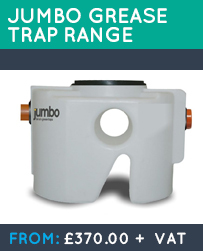 If you experience and problems with your grease trap you should always seek advice from the grease trap manufacturer, supplier or installer.we also supply a range of domestic fat traps starting from just £129! 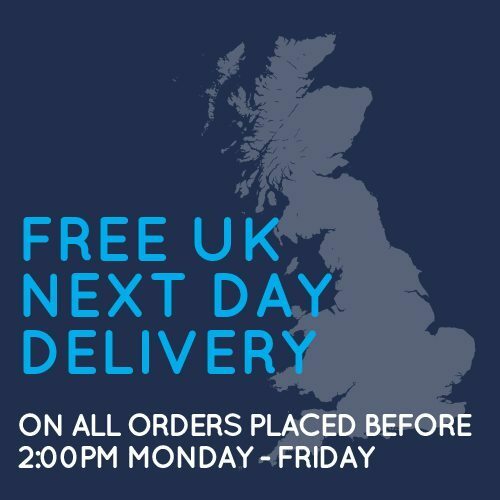 If you are looking for grease traps or a UK grease trap supplier then you’re at the right place. We serve the whole of the UK, and if you are in the North West why not pop in for a coffee and discuss your requirements? We would like to take this opportunity to thank you for visiting Grease Trap Store and look forward to helping you in the future. Stating that it is a requirement under the Water Industry to ensure that your commercial premises does not discharge any product into the drain which may interfere with its operation. If you are required to have a grease trap installed ACT NOW. Your local authority could visit your premises at any time and find that grease from your establishment has blocked the main sewer. This makes you liable. Here at The Grease Trap Store, we take your security very seriously that’s why all payments are processed securely by Worldpay for your protection and peace of mind.